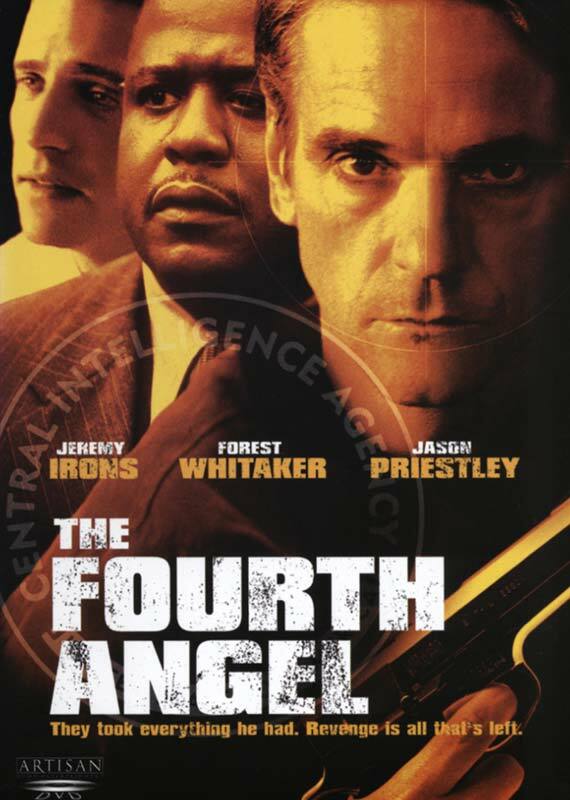 Before Taken (2008), Before Harry Brown (2009), before The Gunman (2015), and before the trend of what Hollywood snidely dubbed “GeriAction”, we had The Fourth Angel. If a bunch of high-class British people made a Death Wish sequel in their own milieu, and instead of Charles Bronson got Jeremy Irons, The Fourth Angel would be the likely result. 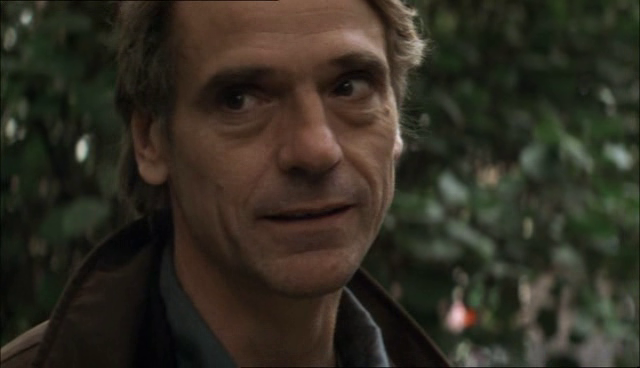 There’s something awesome about Jeremy Irons one minute wearing white pants and a polo sweater or off pheasant hunting, and the next minute he’s wearing the time-honored Revenge Jacket, speeding down the street on a motorcycle, smoking a cigarette and blowing away the bad guys with an arsenal of guns and grenades. Director John Irvin, who has had a long and distinguished career but would be known to us and fans of the site as the director of the classic Arnie vehicle Raw Deal (1986) - no one gives Schwarzenegger a Raw Deal, just in case you forgot - and Dot.Kill (2005), does more than a solid job; he is in control of the proceedings and directs with style, excitement, and fluidity. The Fourth Angel rarely gets boring, and you really care about Jack and his son. You truly want Jack to blow the baddies to kingdom come, but with style, aplomb, and some classic British restraint. The movie delivers the goods on a lot of levels, and is a satisfying watch. Irons is backed up well by his co-stars: Rampling has a small role but always adds something to whatever she’s in, Forest Whitaker we all know has charisma and commitment, and Jason Priestley is too old to be a teenager, but too young to be a CIA agent. He’s caught in the middle, age-wise, but we’re glad he’s here. We guessed the filmmakers thought Luke Perry would be too much of a Himbo to take on the role. So naturally they got Priestley instead. The Fourth Angel is certainly what you would call a classy revenge film, which shows that our favorite subgenre has many flavors and varieties. Just when you think you’ve seen ‘em all, along comes Jeremy Irons to show terrorists the true meaning of “Class Warfare”! We give a hearty recommendation to this fine film. Makes sense because of all the terrorism. 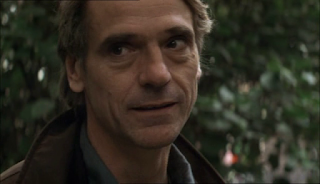 Jeremy Irons should do more action movies.